Charge cable compatible with the AG 9/AG 9+ for Xbox One and PS4. 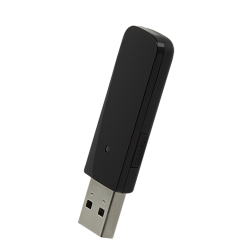 Replacement USB Transmitter for the AG9 and AG9+ wireless headset. This transmitter can be paired with the AG 9 and AG 9+ headset for a fully wireless connection to the PS4. Detachable microphone compatible with the AG 9 wireless headset for Xbox One and PS4. LVL 1 Chat Headset for Gamers of All Ages Made exclusively for the Sony PlayStation, the LVL 1 Chat Headset is built for competitive gaming. Stay in touch with friends, lead your team to victory by communicating orders loud and clear through the noise-cancelling mic and make lightning fast adjustments with in-line volume and mic mute controls. This wired chat headset delivers crystal clear chat audio though a powerful 30mm driver. The convenient adjustable and flexible microphone boom allows for perfect mic placement depending on your unique gaming style. The LVL 1 Chat Headset is compatible with PlayStation Wireless controllers via 3.5mm connection. With a comfortable light-weight over-the-ear fit, the LVL 1 is a hassle-free easy-to-use headset for all types of gamers. Simply plug the LVL 1 directly into your PlayStation controller and you’re good to go! 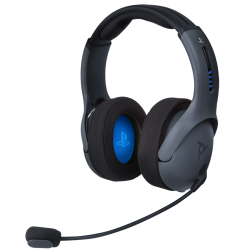 LVL 1 Chat Headset for Gamers of All Ages Made for Sony PlayStation, the LVL 1 Chat Headset is built for competitive gaming. The LVL 1 Chat Headset is compatible with PlayStation's Wireless controller via 3.5mm connection. With a comfortable light-weight over-the-ear fit, the LVL 1 is a hassle-free easy-to-use headset for all types of gamers. Simply plug the LVL 1 directly into your PS4 controller and you’re good to go! Made for the Sony PlayStation, the LVL 1 Chat Headset is built for competitive gaming. Stay at the top of your game and communicate clearly with your team using the AG6 Wired Headset for Sony PlayStation. Designed for competitive gaming, the AG6 plugs directly into the PlayStation controller for a simple set-up. Play at the top of your game and anticipate your enemy’s next move with crystal clear sound.